In other words, the outside of the gate is the human world and the boundary between Children of God and humans over seven years old. For a long time, people in various countries have been thinking about such as the birth of the universe, God and its creation and what are Gods really? How the spirits select their father and mother to be born from, and the reason why we come into this world, reincarnation.... Nobody knows the answer. 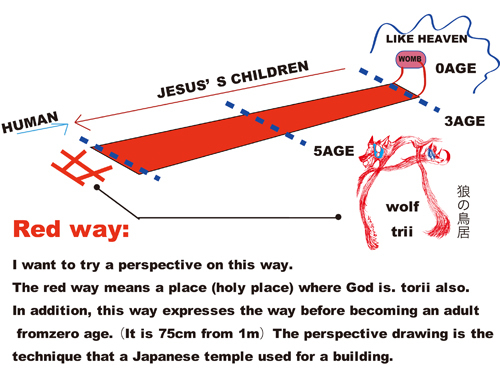 It is a shrine gate and shows a boundary between God's ground (sanctuary) and the human world. In general, Torii is built at the entrance to shrine, but also can be found any places considered as a sacred or pure space. It is a place enshrines God. God enshrined in a building known as Honden (the main building). counter magical powers and often used in ancient places, shrines and temples. In the artworks "Child Play", the vermilion color represents the world of Children of God and the white represents the human world. In Japan, red and white are often used on festive occasions. In Japan, fox is believed to serve Gods and the symbols and statues of fox can been seen in various shrines and temples. Gods, humans and death. These three worlds were connected to one another by ash tree roots. Squirrel was the messenger connecting all three World (from the universe of Scandinavian mythology). universe of Scandinavian mythology) Shoujo no Tomo painted Frost Giants as high school girls. and thank you very much AIA JUDES. 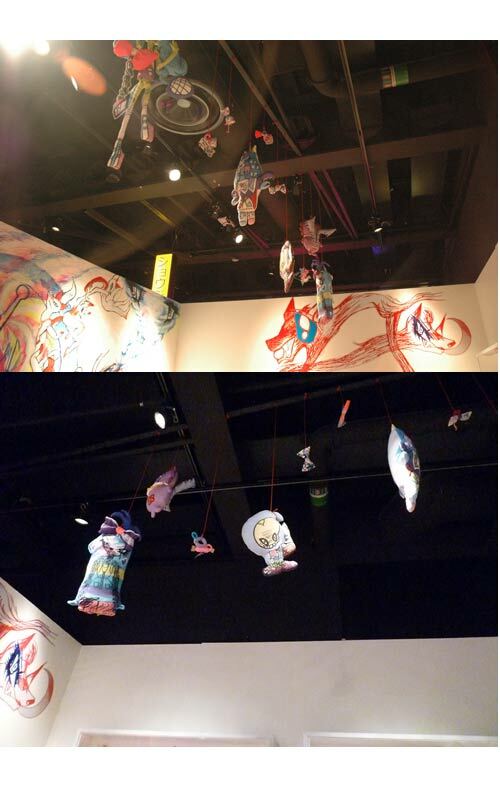 YOU GAVE CHANCE SHOW SOME ART AT SWEDEN. AND I SAY THANK YOU TO PERSON OF WOLD CULTURE MUSEUM ANS SOME HELPER AND GEST. 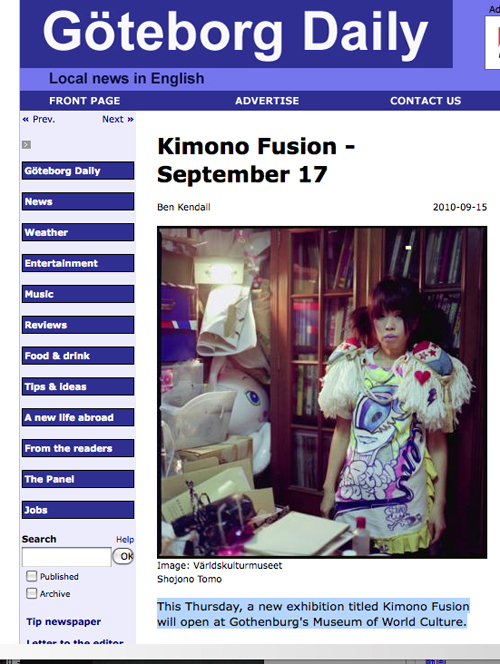 This Thursday, a new exhibition titled Kimono Fusion will open at Gothenburg's Museum of World Culture. The traditional Kimono of fine silks and bright colours has provided great inspiration to generations of designers. Kimono Fusion explores the links between the early kimonos and hypermodern Japanese fashion. Vintage kimonos are mixed with creations and street-smart quirkies from some of Japan's hottest designers. Hand-made accessories for young geishas mix with graffiti and street-origami figures, whose patterns are inspired by ancient kimonos. 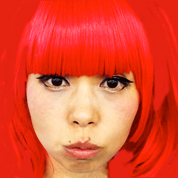 The exhibition opens on September 17 at 19.00 with a Japanese party night and karaoke! Come dressed in kimono, as a geisha, Pokemon, Gangurogirl, Hello Kitty or any other Japan-influenced outfit, and you will get in for free! Otherwise: 60 kr (incl. 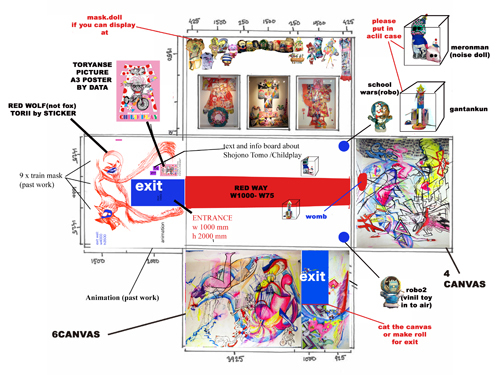 admission to the exhibition).